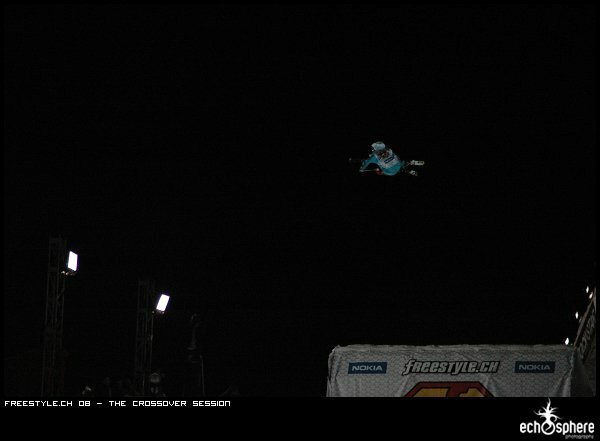 In between the qualifications and finals at this past weekend's Freestyle.ch, it was time to see who would be crowned the best athlete overall, also known as the crossover.champ. The startlist was based on the qualifications rounds, and contained the best 8 riders in each category. So every sport ran a qualification round (one at a time) to select the best 4 riders in each category. 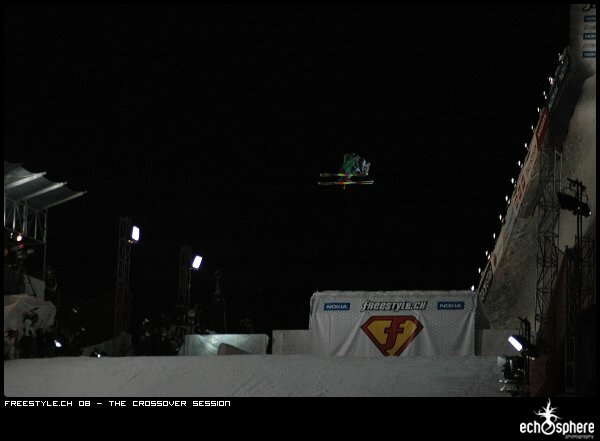 The best 4 freeskiers were Aleksander Aurdal, Gus Kenworthy, Martin Misof, and Simon Dumont. Now, remember, this is not just about winning a title, but also about representing one&rsquo;s sport at its best. 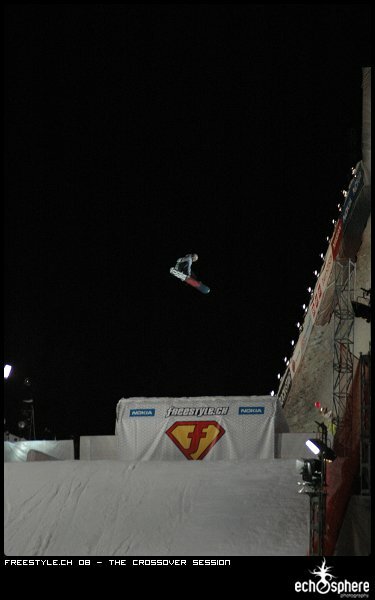 Last year Simon Dumont won for freestyle skiing with a front flip to superman. Can he do it again? 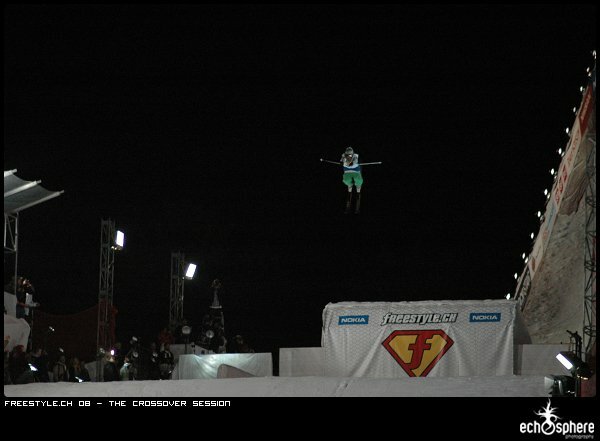 Can freekiing attain a second victory in a row? Before we find out whether or not it has been done, we will have to take a look at the competition itself. 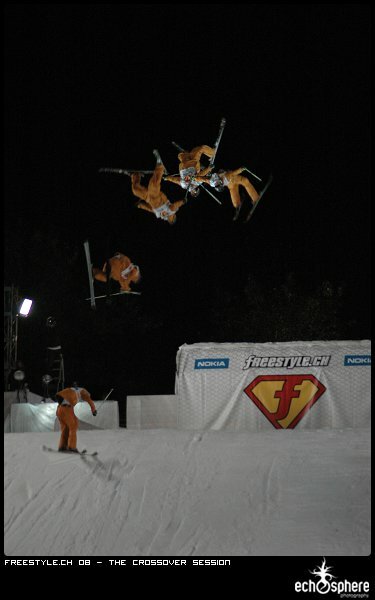 As it is obviously impossible to objectively weigh tricks done on a motorbike against those achieved with skis, this competition is not judged by a judging team but by the public. 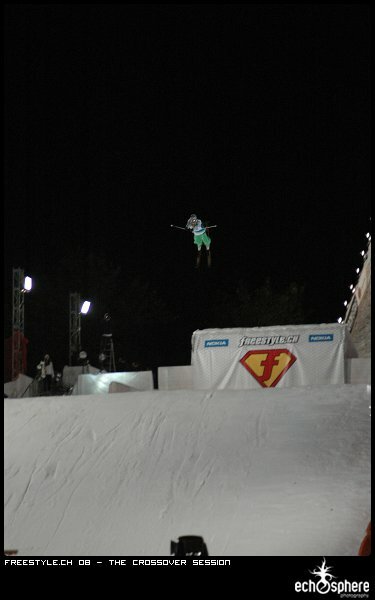 The athlete most acclaimed by the spectators wins. Simple enough, no? 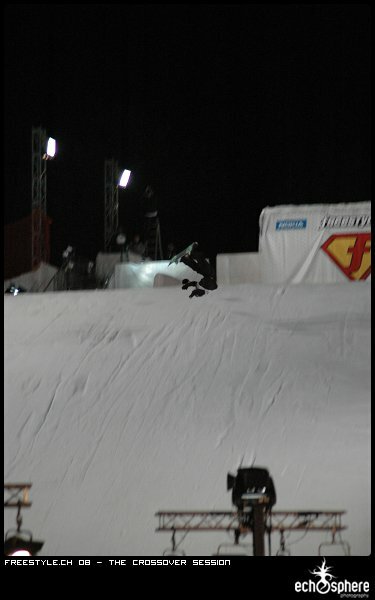 After the qualification runs, each sport had the opportunity to do a &ldquo;show run&rdquo; to prove their value to the public, and for skiing, all the riders went on the same time on the kicker, dropping a massive show as these two guys linked together in the air. 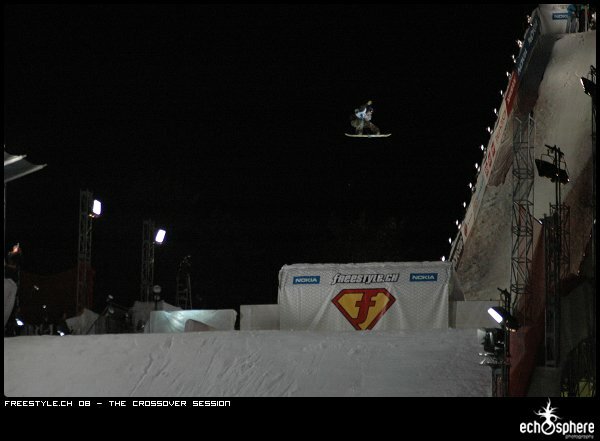 For each sport, the riders pulled some of the world&rsquo;s best tricks such as the frontflip to superman, performed this year by a courageous Aleksander Aurdal, but surpassed by the master of this trick, Simon Dumont, who went bigger and bigger each run. 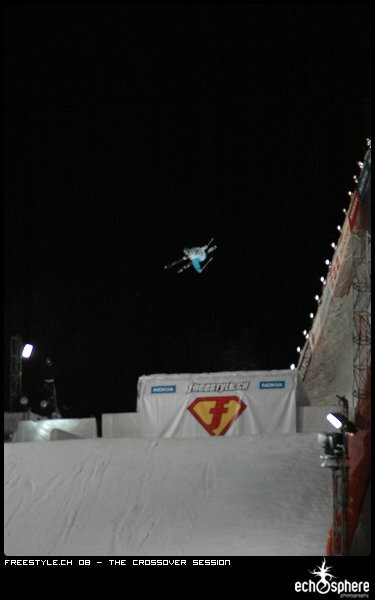 But the &ldquo;show award&rdquo; for the freeskiing category should go to Martin Misof who dropped a massive switch late backflip but wasn&rsquo;t chosen by the public, preferring to see the &ldquo;icon rider&rdquo; go to the superfinal. 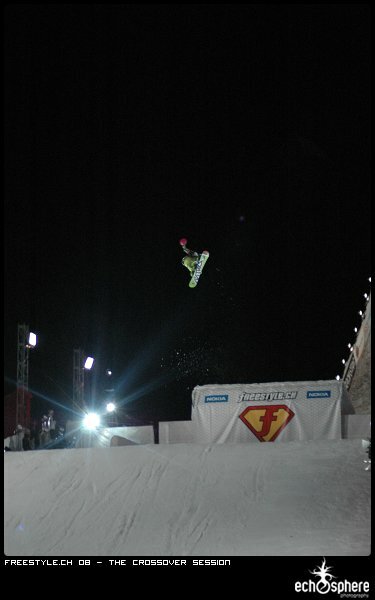 The snowboarders pulled huge tricks also, going much higher than most of the freeskiers, with a particular attention to Andreas Wiig who performed a huge stalefish! 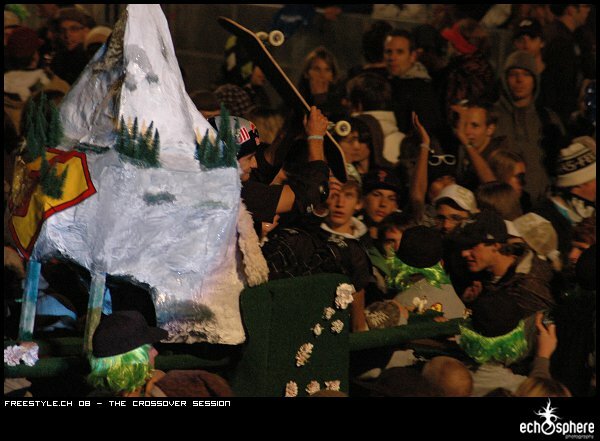 Stephan Maurer pulled a trick which nobody could name, and finished with a huge crash, which could have been very dangerous. 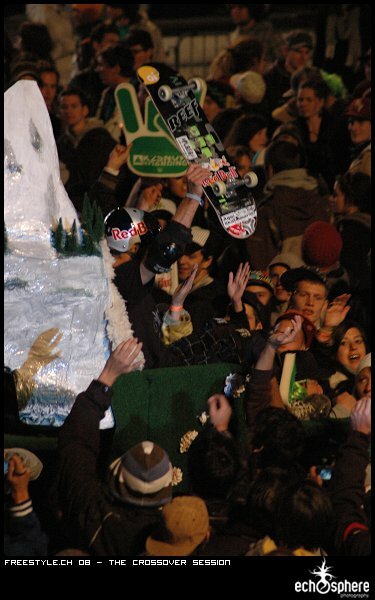 But the snowboarder was so pleased to be here that he was smiling even after his crash&hellip; So nice to see that kind of spirit. 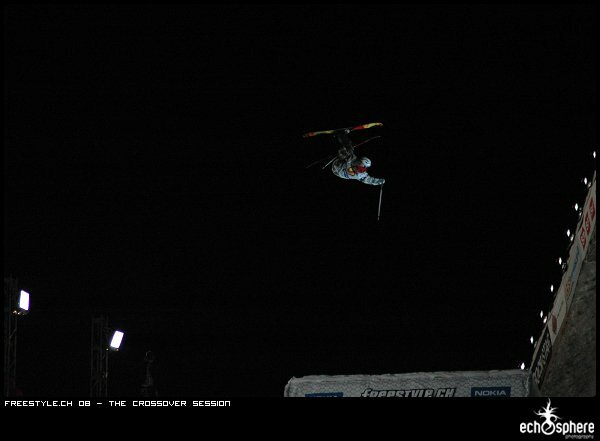 Mat Rebeaud pulled his usual backflips without showing much innovation at all. Nearly a shame. 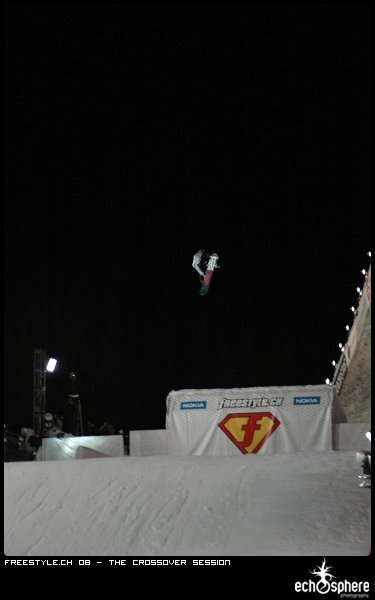 Simon Dumont went even higher than the run before with his frontflip to superman, but just didn&rsquo;t make the cut, partly due to the feeling of &ldquo;seen-it-all-before&rdquo;. 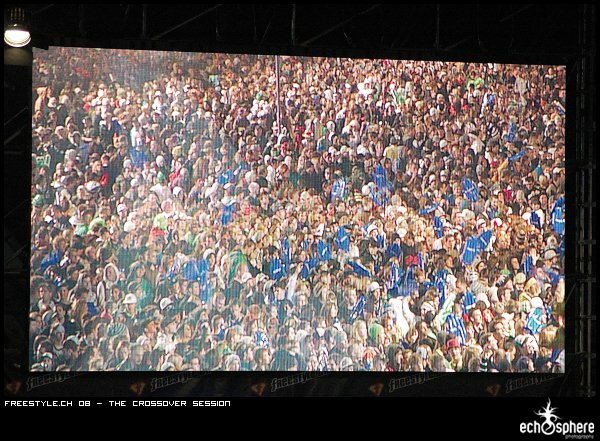 Maybe the public was waiting for some brand new tricks. However, he was more than applauded by the spectators. 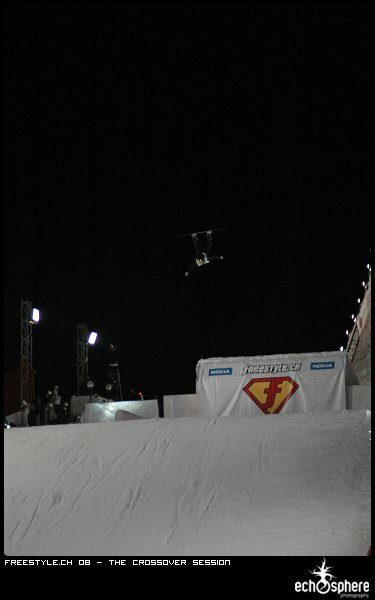 Sandro Dias! Here&rsquo;s our new crossover.champion! And what a champion! 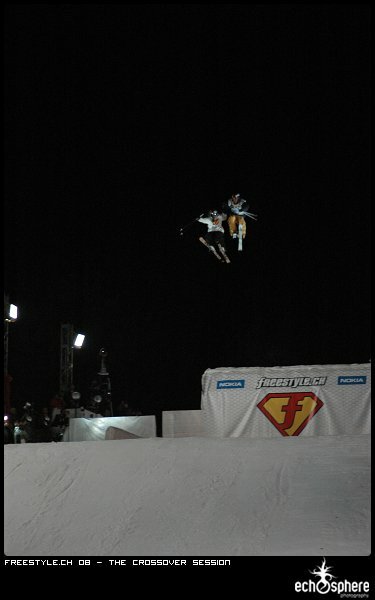 His superfinal run was just perfect following very difficult tricks with others even more difficult and plenty of style! 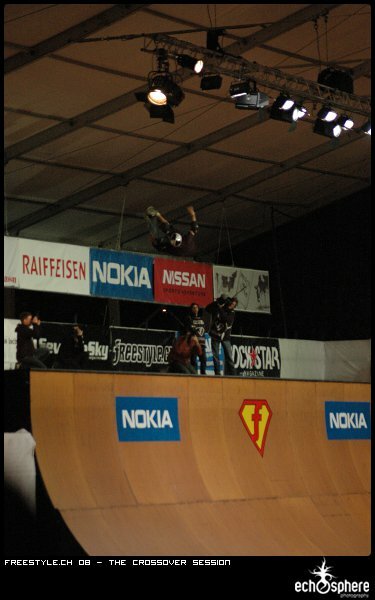 It was just amazing to see how misty 5 or one foot fives seem easy when Sandro&rsquo;s riding the vert! 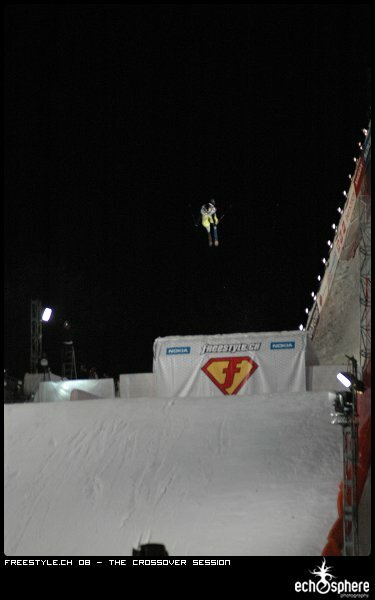 And even after he knew that he was the winner, applauded by all the freestyle.ch spectators, he went back in the ramp, and performed an amazing Christ air so smooth and so high! Big up to Sandro, our new champion! Stay tuned to NS tomorrow for a full report on yesterday's finals, which saw Jacob Wester win the first major event of the 08/09 season. Crossover Industries Introduces a new binding system that allows you to use the same bindings on each pair of skis you own.